“A pioneer of “Afrofuturism,” bandleader Sun Ra emerged from a traditional swing scene in Alabama, touring the country in his teens as a member of his high school biology teacher’s big band. 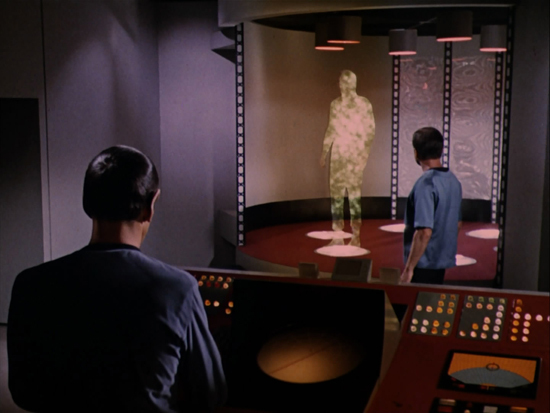 While attending Alabama Agricultural and Mechanical University, he had an out-of-body experience during which he was transported into outer space. As biographer John Szwed records him saying, “my whole body changed into something else. I landed on a planet that I identified as Saturn.” While there, aliens with “little antenna on each ear. A little antenna on each eye” instructed him to drop out of college and speak through his music. And that’s just what he did, changing his name from Herman Blount and never looking back. “Whether you believe that story, whether Sun Ra believes it, or whether his entire persona is a theatrical put-on should make no difference. Because Sun Ra would be a visionary either way. Combining Afrocentric science fiction, esoteric and occult philosophy, Egyptology, and, with his “Arkestra,” his own brand of free jazz-futurism that has no equal on earth, the man is truly sui generis. In 1971, he served as artist-in-residence at UC Berkeley and offered a spring semester lecture, African-American Studies 198, also known as “Sun Ra 171,” “The Black Man in the Universe,” or “The Black man in the Cosmos.” The course featured readings from—to name just a few—theosophist Madame Blavatsky, French philosopher Constantin Francois de Chasseboeuf, black American writer and poet Henry Dumas, and “God,” whom the cosmic jazz theorist reportedly listed as the author of The Source Book of Man’s Life and Death (otherwise known as the King James Bible). Sun Ra wrote biblical quotes on the board and then ‘permutated’ them—rewrote and transformed their letters and syntax into new equations of meaning, while members of the Arkestra passed through the room, preventing anyone from taping the class. His lecture subjects included Neoplatonic doctrines; the application of ancient history and religious texts to racial problems; pollution and war; and a radical reinterpretation of the Bible in light of Egyptology. Open Eye Signal – Jon Hopkins from AOIFE MCARDLE on Vimeo. “Now, the Golden Age, or Dream Time, is remote only from the rational mind. It is not accessible to euclidean reason; but on the evidence of all myth and mysticism, and the assurance of every participatory religion, it is, to those with the gift or discipline to perceive it, right here, right now. Whereas it is of the very essence of the rational or Jovian utopia that it is not here and not now. It is made by the reaction of will and reason against, away from, the here-and-now, and it is, as More said in naming it, nowhere. It is pure structure without content; pure model; goal. That is its virtue. Utopia is uninhabitable. As soon as we reach it, it ceases to be utopia. As evidence of this sad but ineluctable fact, may I point out that we in this room, here and now, are inhabiting utopia. “The key to unlocking “Westworld” has been sitting around since the third episode, “The Stray,” when Dr. Ford discusses Julian Jaynes’s radical theory of the “Bicameral Mind,” which gives this episode its title. Other sites explained the theory as far back as mid-October — but here’s the gist: In “The Origin of Consciousness in the Breakdown of the Bicameral Mind,” Mr. Jaynes suggests that the human brain has not always functioned in the same way. His theory speculates that 3,000 years ago, men and women were capable of a great many things, but they lacked the linguistic tools for self-awareness and introspection. Instead, their actions were determined by a back-and-forth between one part of the brain that’s “speaking” and another part that listens and obeys. Mr. Jaynes describes the communication between hemispheres as a kind of hallucination where a commanding, external “god-voice” intervened when they had a decision to make. Text: ‘Westworld’ Season 1 Finale: Wake From Your Sleep, The New York Times. BB: Could we say that you’re attempting to establish a relationship between scientific and artistic modes of thought? BB: But wouldn’t you still think of the work of Duchamp as something relative rather than some kind of transhistorical value? JFL: Well, really, both yes and no, since that’s the way it always is with art: it always has a value as an expression of its time, but there’s also a way in which it can always be perceived as lying outside of the time that produced it. There’s always something that turns art into a transhistorical truth, and that’s the part of the art that I think of as “philosophical.” It’s within this part of art that it poses the question of what it has at stake. Art, after all, is a relatively modern notion. Even Greek tragedy couldn’t have been said to be art for the Greeks—it was still something else, and it’s clear that we have to wait at least until the close of the Middle Ages to discover the emergence of an art that isn’t simply an expression, for instance, of metaphysics or religion, or political praise. What strikes me, if we can start out from Duchamp, is the way it can seem, from a certain point of view, to be difficult to be an artist if one isn’t a philosopher as well. I don’t mean that the artist will have to read Plato or Aristotle, I mean that he has to posit the question of what he has at stake, he has to ask himself about the nature of what he’s involved in doing. Text: Les Immatériaux: A Conversation with Jean-François Lyotard and Bernard Blistène, Art Agenda. McKenzie Wark: The adjective ‘ballardian’ shows up in Blue Mars, and by 2312 all sorts of author and book names from SF, or key terms used by famous SF authors, seem to have passed into the everyday language: dhalgren, kipple, waldo, and so on. Art works are described as goldsworthies or abramovics, as if these were whole genres of work. Do you think art and writing can actually have that capacity to name the world? And what do you think the Robinsonian contribution to naming the world might be? Kim Stanley Robinson: Well for sure writing names the world, in that language names the world. As for art, I think its names sometimes stick. I think it makes sense to call landscape art “goldsworthies” and performance art “abramovics,” because these two artists have so excelled in these genres that they have brought them to the consciousness of the general culture, so that the genres themselves can be understood to be major art forms, likely to get more and more important. “There is that big raft of words introduced into English by Shakespeare, and I think it has been happening since at a slower rate, even since dictionaries came into being. Science fiction has been pretty good at putting new words into the language by naming things before they actually exist, such as waldoes or cyberspace. And I think ballardian and phildickian are words now, like Orwellian or Kafkaesque. I like that game, because I like to use odd words in my texts when I can, it’s part of the estrangement effect of trying to convey a future. That can be overdone of course, and as time passes most invented science fiction words simply look odd (“spindizzy”), but it’s still worth trying. I doubt I have done anything like this that will last, as I did not invent the word “terraforming” but only picked up on it out of earlier science fiction; Jack Williamson invented it back in the 1930s. And the term robinsonian already refers to the Robinsonade, the adventure of a solo human in nature, an accidental association that I love. MW: One of the kinds of language and thinking in play in almost all of your books is a literary-critical one. Raymond Williams’s structure of feeling, Greimas’s semiotic squares show up. And yet your characters are often annoyed by the imprecision of just these concepts, particularly if they are scientists. Do you think it’s possible to stage a useful dialog between critical and empirical or scientific thought, and might the novel actually be the ideal place to attempt it? KSR: Yes, the novel is a great space for bringing these different realms of discourse together, and seeing what happens. I’ve been much influenced by Bahktin’s image of the novel as polyvocal, what he calls a heteroglossia (another great word! ), so that it isn’t so much the novelist as a single visionary but rather something more like an old-time telephone switchboard operator, plugging in different voices and then orchestrating the flow of that chorus, so to speak. So you get chances for different points of view to speak or argue in dialogues or larger discussions, and the plots themselves also express these arguments in actions. But also we’re seeing this discussion going on in the field called science studies, or science and technology studies, which I take to be the application of various aspects of what we call theory to science, its history and current practices. So it is really the latest and most sophisticated and historicized version of philosophy of science, now that philosophy has become theory and science has become science and technology, or STEM (science, technology, engineering, and mathematics). This is a really important intersection of ideas and practices, given the situation we are in as a global civilization. It’s a crucial conversation and I think it’s happening in all kinds of contexts, which is a good thing. Text: McKenzie Wark interviews Kim Stanley Robinson, A Functional Form Has Its Own Beauty: An Interview with Kim Stanley Robinson , Los Angeles Review of Books, September 1, 2013. 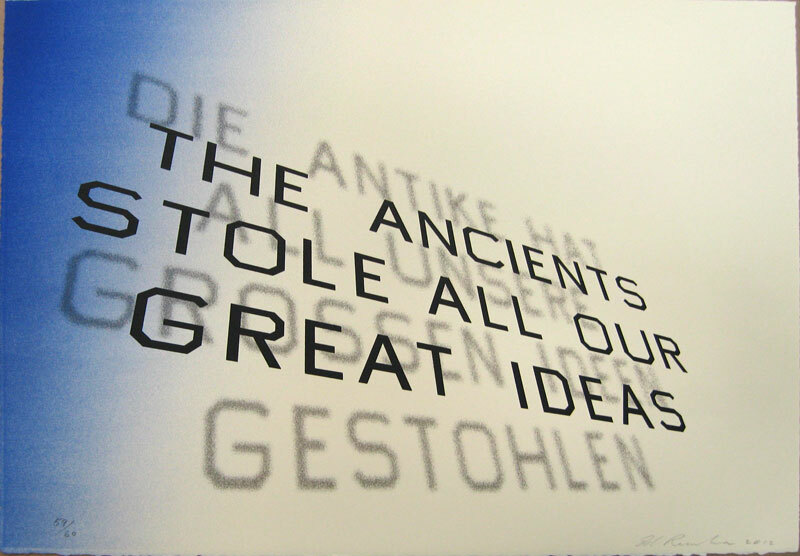 Image: Ed Ruscha, The Ancients Stole All Our Great Ideas, 2012. “The infinity or Van Allen Belt ∞ a section graftation symbol is based with electromagnetic energies positive north, positive south squared, negative north, negative south squared, chemically based, dry-based, and so called anti-based energies. This build/destroy symbol is for science, mathematics (universal) to our life forms knowledge and not religion. The symbolic structure x holds fusion (w.a.r.) according to this formation and pamphlets breakdown strategy (formated by its structure). The Roman letter type and others have been armed to assassinate and/or abolish this supreme symbol know as infinity sign by removing the x from this written structure. “This is symbolic war using slang and tonics to understand the very outline structure that makes a through z its mathematics and science for disease culture to understand the consequences of structure that have been disease culturally sabotaged and trickknowledged. “All formations of word knowledge are constructed under the symbolic thoughts of the infinity sign. Motion in motion, power, armed, stride with position straight, is known as the function formation formula for and of ikonklastic panzerism rok remanipulation, all the knowledge for military strategy for the (blood system) of New York City, (Universal Transit System). “In 1582 the 13th Pope removed ten days from the calendar, the next day they will stay is the year 2OOO. From the fourth century to the nineteenth century outline of letter, numbers and other universal symbols and disease cultural structures, was in the hands of calligraphers. Since then the Roman letter in a panzer stage of evolution from the fourteenth century to 1969-1974 was complete subconscious toyism (Treacherous on your System). From Bubble to structure (squared) and emotional outburst era 1974-1979 was a war era, where knowledge formed about by itself through the body, in the dark, underground. This is a ten year cycle of so-called graffiti development and elevation. 1980-2OOO separation between Wild Stylism and Panzerism, the onemotional era, knowledge of it add purpose of it… this is full evolution of the Roman letter type and others in so-called graffiti. “The present infinity sign and the symbol x: this symbol must be separated from the present infinity sign by Ikonoklast panzerism. The only way is to go into the structure on paper or space or dimensions of art of paper. wild stylism: ” A so-called ” element of graffiti is base-derived from Gothic text subconsciously. 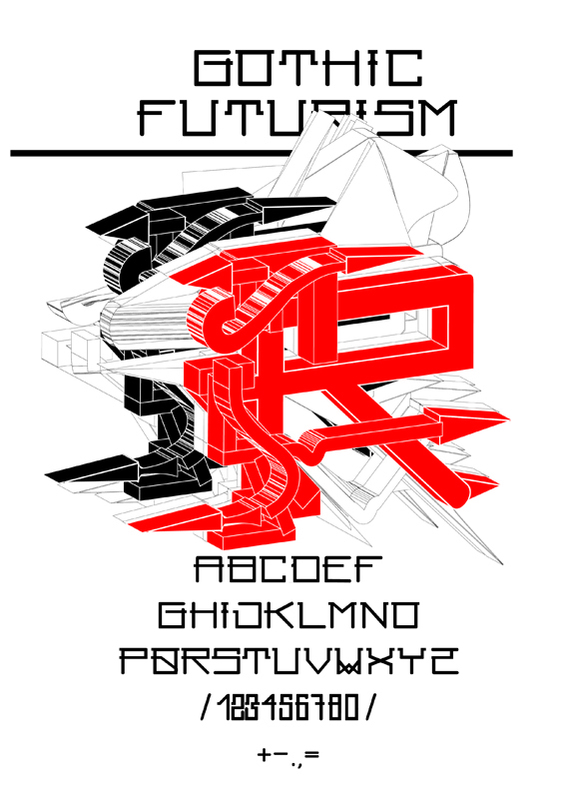 The futurism is Panzerism design a subconscious development. Pics: Robin Coenen, The Rammellzee Font Project, [top] Rammellzee 7, [bottom] Rammellzee 10.
of economic value. Information about the future therefore circulates as an increasingly important commodity. 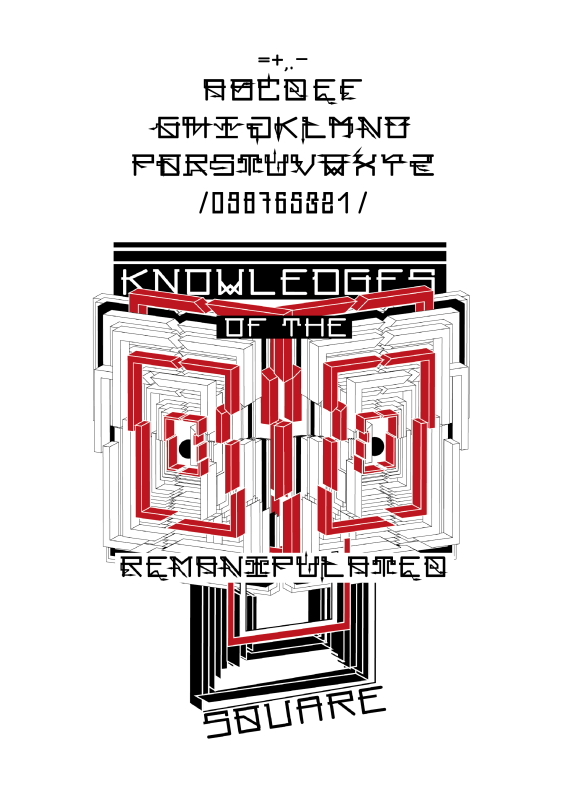 “It exists in mathematical formalizations such as computer simulations, economic projections, weather reports, futures trading, think-tank reports, consultancy papers—and through informal descriptions such as science fiction cinema, science-fiction novels, sonic fictions, religious prophecy, and venture capital. Bridging the two are formal-informal hybrids, such as the global scenarios of the professional market futurist. “Looking back at the media generated by the computer boom of the 1990s,it is clear that the effect of the futures industry—defined here as the intersecting industries of technoscience, fictional media, technological projection,and market prediction—has been to fuel the desire for a technology boom. Given this context, it would be naïve to understand science fiction, located within the expanded field of the futures industry, as merely prediction into the far future, or as a utopian project for imagining alternative social realities. preferred future and its becoming present. “Hollywood’s 1990s love for sci-tech fictions, from The Truman Show to The Matrix, from Men in Black to Minority Report, can therefore be seen as product-placed visions of the reality-producing power of computer networks, which in turn contribute to an explosion in the technologies they hymn. As New Economy ideas take hold, virtual futures generate capital. A subtle oscillation between prediction and control is being engineered in which successful or powerful descriptions of the future have an increasing ability to draw us towards them, to command us to make them flesh. 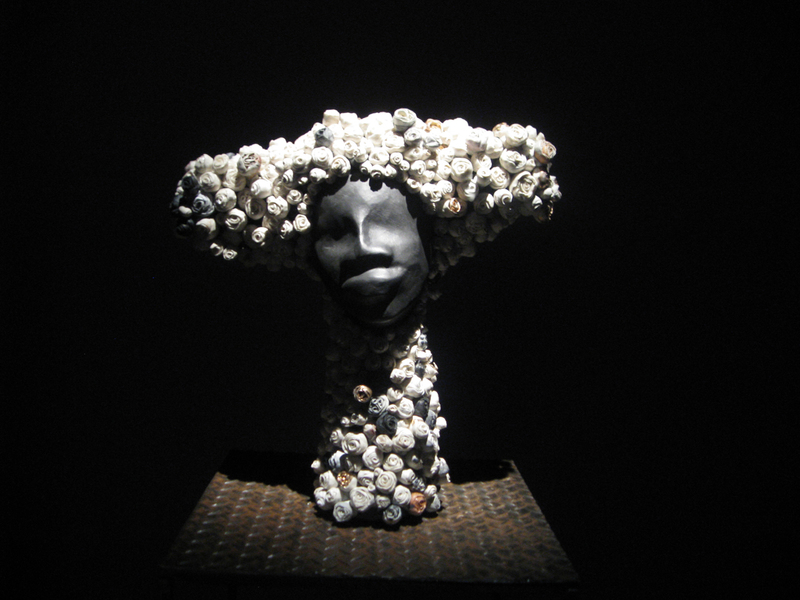 Text: Kodwo Eshun, Further Considerations of Afrofuturism, The New Centennial Review, Volume 3, Number 2, Summer 2003, pp. 287-302.